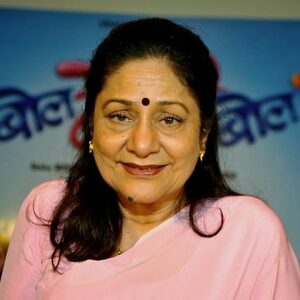 How much is Aruna Irani Worth? Aruna Irani Net Worth: Aruna Irani is an Indian actress who has a net worth of $30 million. Aruna Irani was born in Bombay, Maharashtra, India in May 1952. Irani has acted in more than 300 films in mostly supporting roles. She has danced in songs in the films Jyoti in 1969, Caravan in 1971, Bobby in 1973, and Lawaaris in 1981. Irani holds the record the 10 nominations at the Filmfare Awards for Best Supporting Role and has won two of these awards. He was honored with the Filmfare Lifetime Achievement Award in 2012 at the 57th Filmfare Awards. In addition to acting Irani has worked as a producer under AK Films. She started taking more motherly roles in the late 1980s and 1990s and then started acting in character roles for television serials. Aruna is the eldest of eight siblings.